As a locksmith company serving Newark and the greater New Jersey area, Firstline Locksmith is acutely aware of the security benefits of a video surveillance system inside of a business. As a business owner and/or operator, you need to be proactive in your efforts to secure your employees, assets, and business as a whole. Not only are you protecting the future of your company, but you’re also securing the future of everyone who works for you. In this article, Firstline will share the benefits of a video surveillance system inside of your business, whether it be a retail store, bank, grocery market, or otherwise. If you run or operate a business that has a high probability for theft or robbery, video surveillance can help reduce the chances of it actually occurring. What’s more, in the event that a crime does happen, the recorded video can be used by the proper authorities to track down the criminal. Video surveillance is great for keeping an eye on loading docks, back alleys, and parking areas that do not usually have more than a few people at a time watching them. A camera can help reduce crime or, at the very least, help catch the criminal responsible in the event that a crime is committed. If a “he said, she said” situation arises in the workplace, video surveillance may be able to help settle the dispute. Often, humans will work to preserve their own wellbeing, even if that means ignoring others. This isn’t always the case, but when it comes down to keeping a job, people may use some sly tactics. When you record the interior of your business, these disputes may be easier to resolve, helping you discover who is responsible and take the proper action. Even if you have access entry points with sign-in sheets, you will want to include video surveillance. Paperwork is only created to warn those who break an agreement of the consequences. It does nothing to stop them from breaking the law. Video can record visitors who visit the establishment so that you can tie back any suspicious or criminal activity to the responsible party. Don’t want to employ a guard for your stock or storage rooms? 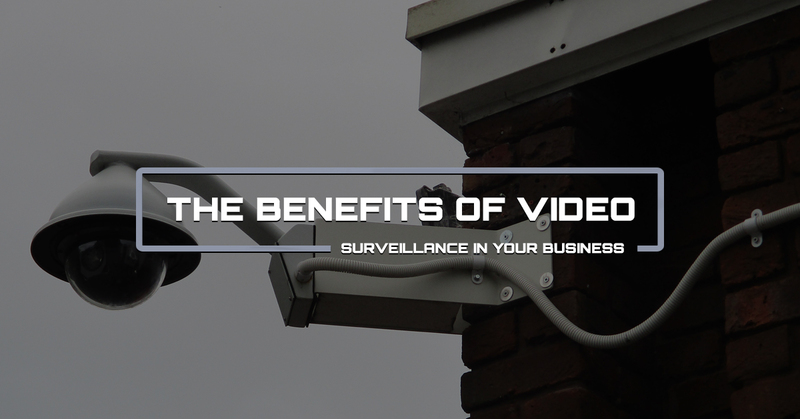 Install a video surveillance system, post notices, and let the recording video do the work for you. A storage or stock room with video surveillance is much less likely to be robbed than one without a camera system. Do you have multiple buildings on your property? Instead of being in five places at once, you can use video surveillance to keep track of what’s going on in between location visits. This also applies to multiple locations across the state, region, or nation. Cameras are a great tool to monitor your business from virtually anywhere in the world. As a business owner and/or operator, you understand that not every single employee is going to be top-notch. There will be a handful who slack off and take breaks when they shouldn’t. A video surveillance system will at least give you the ability to take a look at how you’re employees are doing. It will also give your employees that extra little initiative to work as agreed upon in their contract. After decades of serving Newark and the great New Jersey area, Firstline Locksmith knows what it takes to keep your business secure. If you’re in need of locksmith services in Newark, we can help! Simply give us a call and schedule your service appointment!